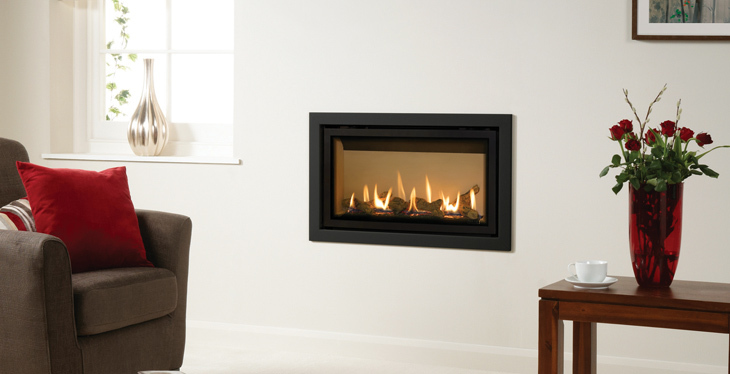 The Studio Slimline offers all the distinctive hallmarks that are synonymous with the Gazco Studio range, with the added benefit of a slimmer firebox specifically for simple cavity wall installation. The Slimline gas fire has a wealth of styling options available including a wide frame selection, a choice of three lining options and the option to select from a choice of fuel effects, each allowing you to tailor your fire to your desires and provide a perfect warming heart for your home. This gas fire is available as a Studio 1 Slimline only. Finishes: Anthracite (Bauhaus & Profil), Polished Stainless Steel (Bauhaus & Profil), Graphite (Steel 2 & Verve), Iridium (Steel 2), Black Glass (Glass), Metallic Red (Steel 2, Bauhaus, Profil & Verve), Metallic Blue (Steel 2, Bauhaus, Profil & Verve), Metallic Bronze (Steel 2, Bauhaus, Profil & Verve) and Ivory (Steel 2, Bauhaus, Profil & Verve).